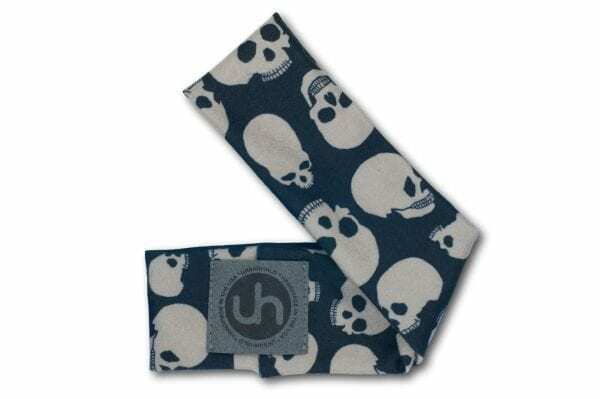 When vintage sugar turns to Skull Candy, you get to sport something a little sweet and a little spooky. 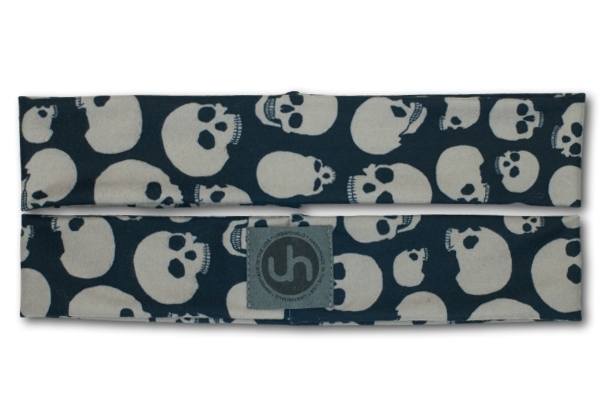 A bony band that’s fun and freaky and a definite design for the Day of the Dead. With its peculiar charm and a look so unique you can’t help but fashion it for functionality or style it with sophistication. A legitimate mix of grit and gaiety for getting it done! Signature blend of superior sweat-wicking fabric will keep you cool and dry. Our unique design boasts an unfinished edge so you can customize your look. Our custom-printed fabric is super soft and stretchy. Distinctive and different from others. It stays where you put it and won’t pinch or squeeze. To maintain optimal wear, we recommend hand wash in cool and lie flat to dry.